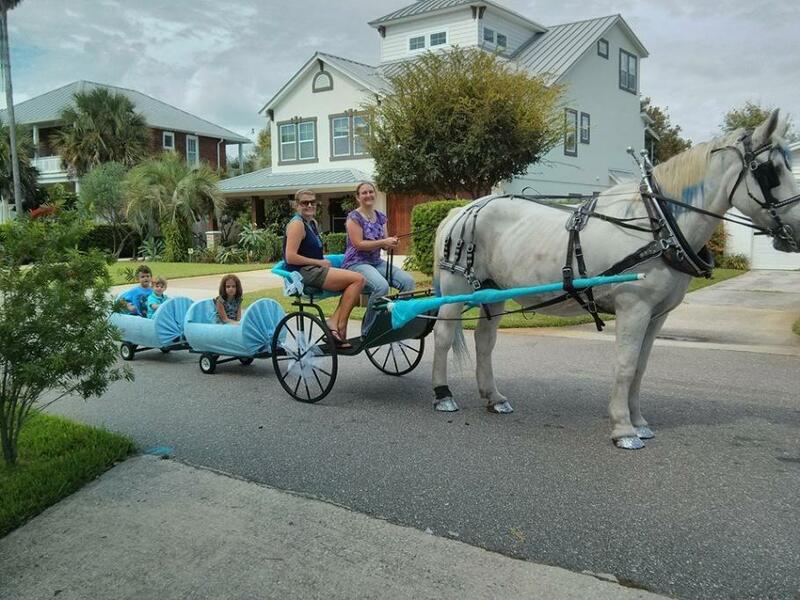 Pinto Pony Train, horse-drawn trackless train for parties in Orange Park, Florida and beyond. Are your kids looking for some barrels of fun? 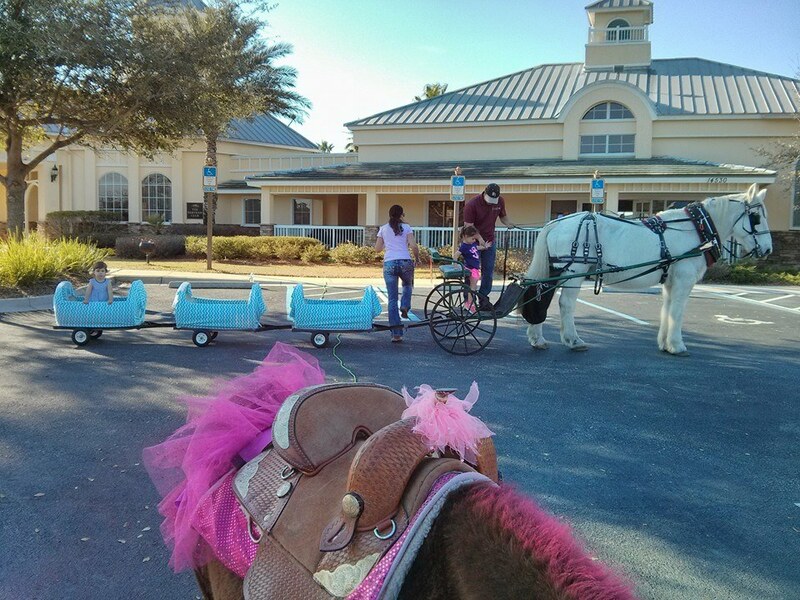 Have our pony train out to your next event! It's perfect for birthdays, daycare, church festivals, schools, reunions, Holiday parties, promotions and more! 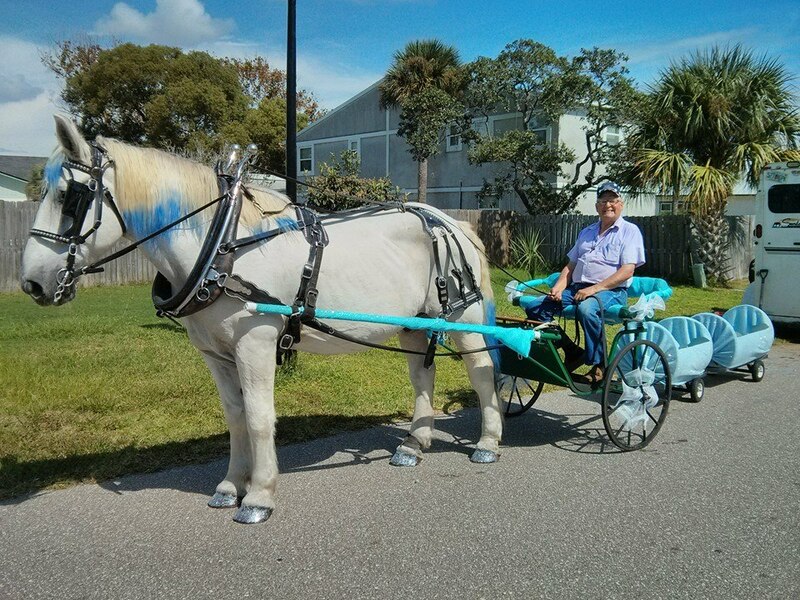 Our pony train is horse-powered, of course! We can have anywhere from just the cart to up to four barrels hitched up behind the cart. So, that means we can give a ride to about four - twelve kids. 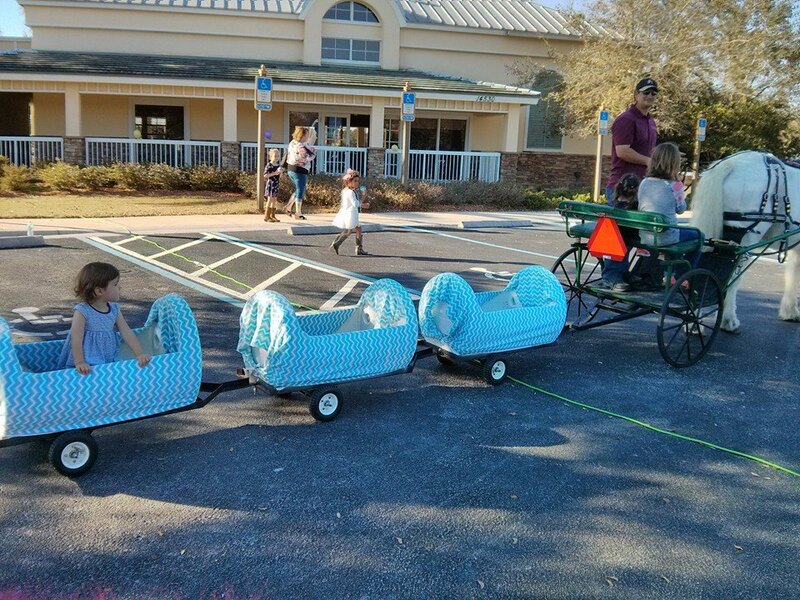 Our cart can also seat an adult or two. So everyone can join in on the fun! Something extra fun about our pony train is that the colors of the barrels are customizable. So, we can suit just about any theme or can even hang signs on the side of the barrels. 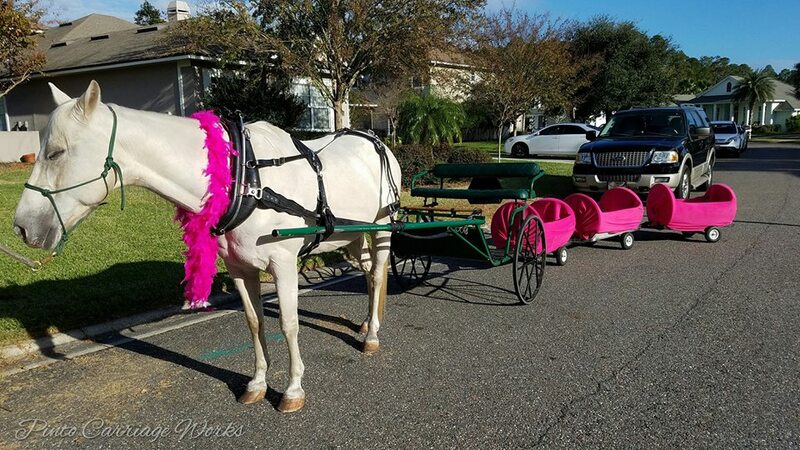 We can also dress up our horses and decorate the cart as well just to add to the fun! 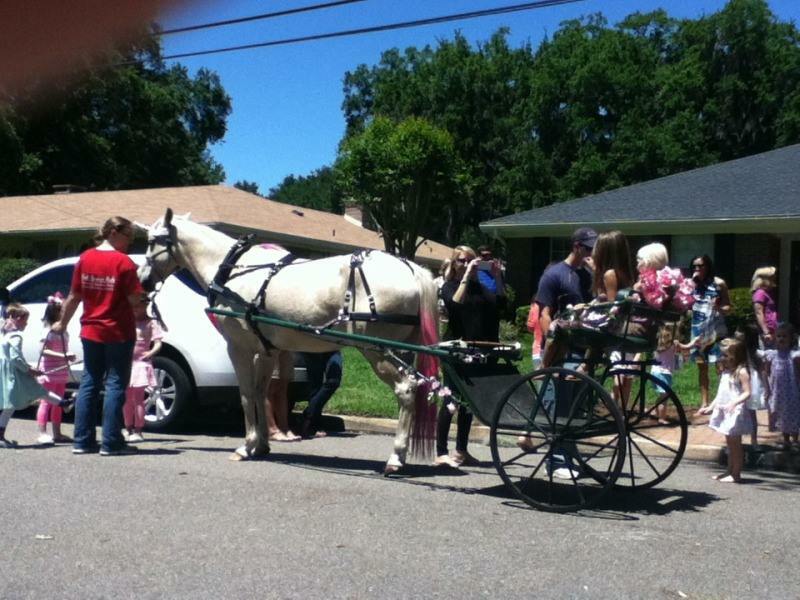 Pony Cart is $250 for the first hour. Pony Train is $300 for the first hour.